Washington, April 16: The Trump administration has worked to make India a more prominent part of its regional strategy, a top American think-tank has said in a report, lauding President Donald Trump for promoting strategic ties with India in a "sustained manner". Asserting that the Trump administration has maintained the success story of US-India relations initiated by George W Bush, the Council on Foreign Relations (CFR) in its report gives the US President a high B+ grade when it comes to America's ties with India. The CFR in its special report “Trump's Foreign Policy are Better Than They Seem” said President Trump "deserves credit for promoting strategic ties with India in a sustained manner". 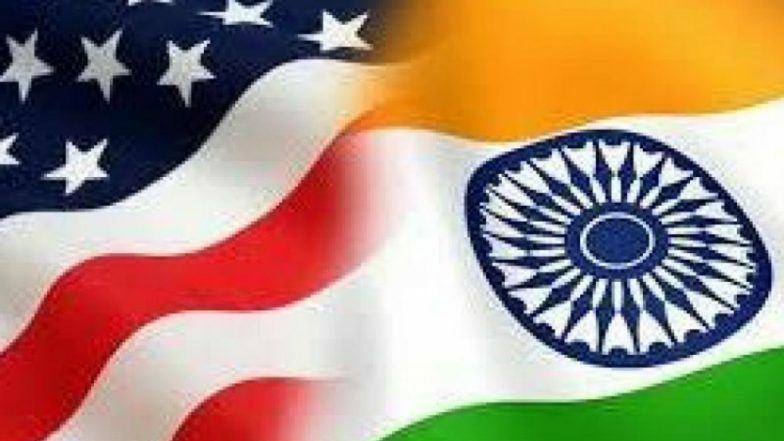 Indo-US Ties Progressed to a New Level During Atal Bihari Vajpayee-George Bush Regime: US Ambassador Kenneth Juster. President Trump's inclinations, as conveyed through his South Asia strategy, which accords primacy to India; his release of advanced weapons systems, such as unmanned aerial vehicles, for sale to New Delhi; and his decision to treat India on par with NATO allies where strategic technology release is concerned are all viewed as favourable toward India, it said. The report said that New Delhi has accordingly responded with bold initiatives of its own. Blackwill points to what he sees as a much-needed toughening of US policy toward China, a justified US withdrawal from Syria and disengagement from Afghanistan, and closer relations with India, Israel, and Saudi Arabia, said CFR President Richard N Hass in the forward to the report. Donald Trump Recommends Boeing to 'Rebrand' 737 MAX Planes.